Chances are VERY high that your Free T4 level isn't actually normal even though it may be in the "normal range". Most people tend to blow off their Free T4 level because it isn't the 'free and active' hormone, especially when compared to free T3. But that is a big mistake! Free T4 still has a story to tell and it's not something you want to miss out on. For instance, your Free T4 level can actually help you determine how efficient your thyroid is converting T4 into T3 and may explain why you have a "low" TSH when you still feel terrible. Does Your T4 Even Matter? Is your Free T4 Normal & Optimal? There is no magic number that your Free T4 level needs to be in order for you to suddenly start feeling amazing. It is just one small piece of a larger puzzle that is your entire health. Like other tests in medicine, it needs to be used in conjunction with your symptoms and other lab tests. If your Doctor were to see these labs he would absolutely tell you that your lab tests were "normal", but is that really the case? In treating hundreds of patients I can tell you honestly that MOST patients feel significantly better when their Free T4 levels are towards the higher range, usually in the upper half. And this correlates well with newer studies which show that patients with hypothyroidism require a higher free T4 to achieve a normal TSH (1). This study showed that, while treating patients with hypothyroidism, the goal should be to obtain a free thyroxine level in the upper part of the reference range. ​If you recall from basic Thyroid physiology, your Free T4 levels act as a reservoir or pool to draw upon when your body needs to create the active thyroid hormone Free T3. As your free T4 level increases, the more you can draw upon this pool to create the active hormone... right? It turns out that this is the way that most Doctors (and subsequently patients) think about the thyroid. Unfortunately, for at least 15% of the population, it isn't true (2). We are basing treatment recommendations off of an incomplete picture and we are wondering why our thyroid patients feel terrible and are so unhappy (3). Here's where things can get a little bit tricky, and why many Doctors may actually be telling you that your thyroid is "fine" when it really isn't. I just said that high levels of Free T4 are good, right? Refer back to what I said before about Free T4 being a reservoir for Free T3. What if you AREN'T converting T4 to T3? (What if your body isn't utilizing that T4 correctly?). I want you to think about your thyroid as a Dam. Under normal circumstances, a Dam acts to hold back A LOT of water, and only let a certain amount of water go through in a controlled fashion. In this example, the pool of water behind the Dam is your Free T4 levels, and the water going through is your Free T3. What will happen to the system if you suddenly can't let any water through? It all backs up, and the water behind the Dam continues to grow and grow. The same thing happens to your Free T4 level when there is a 'kink' in the system. A kink in the conversion process may actually cause your Free T4 levels to RISE and make you think that your thyroid function is normal when the exact opposite is happening. As your Free T4 level rises (because it can't convert to Free T3) it shows up as high levels of Free T4 in the serum. These high levels of Free T4 actually act to suppress your TSH (because your pituitary doesn't have the same deiodinases as the rest of the body(4)). Meanwhile, you are feeling terrible with every hypothyroid symptom in the book. If it is happening to you we are going to discuss how to correctly diagnose it, but first, we need to talk about how T4 can be beneficial. ​It's easy to think that T4 doesn't mean much because it isn't the active thyroid hormone in your body. And it makes sense, but there is still some value in using and testing for it. T4 levels give you an idea about how you are converting T4 into T3. In keeping with the analogy I described above, your T4 level helps you to understand how your body is processing your T4 and T3 thyroid hormones (5). High levels of T4 with correspondingly low levels of T3 may indicate that you need to focus on improving your T4 to T3 conversion. T4 levels can give you an idea if you are properly absorbing thyroid hormone (6). Another huge benefit of testing your T4 levels is understanding if your body is actually absorbing your thyroid hormone. Naturally, your T4 levels should increase as you take thyroid hormone (though it is important to realize that your symptoms may not improve just because your T4 level increases). By testing your T4 level both before and after you start thyroid hormone (this only applies to T4 only thyroid medication) you can get a rough idea as to whether or not you are absorbing the medication. Believe it or not, absorption of thyroid hormone is a big deal and something that is frequently missed (7). You can learn more about how to properly take your thyroid medication in this post which explains how changing the time of day you take your thyroid medication can actually improve thyroid absorption and thyroid function. T4 levels can help you determine if you need to focus on improving your thyroid conversion vs increasing thyroid hormone production. This is primarily helpful for patients who know that they have hypothyroidism, but their physician is unwilling to treat them with thyroid hormone. Most physicians are willing to at least test both TSH and free T4 levels which can give you, as the patient, a lot of information. If you know that your T4 and T3 levels are low then you can focus on taking supplements and taking action to increase your thyroid hormone production. On the other hand, if your T4 levels are high and your T3 levels are low - you as the patient can focus on taking supplements designed to boost T4 to T3 conversion. Over 13 nutrients are involved in thyroid hormone production (8) and some supplements may help thyroid conversion. It turns out that many patients (even those on thyroid hormone) have deficiencies in some of these nutrients which may lead to poor thyroid hormone production and conversion. If you have Hashimoto's then the supplements you should consider using are slightly different from the list above and you can find more information on which supplements are best for autoimmune thyroiditis here. ​T4 levels can help you determine if you would benefit from adding in T3 thyroid medication. Let's say that you are taking T4 only thyroid medication (like Synthroid) and your T4 level is high (so you know you are absorbing it) but your T3 level is still low and you are still having symptoms of hypothyroidism. Even in the presence of a low reverse T3 (which means you are still converting thyroid hormone ok), this may indicate that you might benefit from the addition of T3 thyroid hormone. Recall that T3 thyroid hormone is the most powerful thyroid hormone and is responsible for all of the good things that thyroid hormone does in your body. Another very important factor is understanding how your free T4 level changes with different types of thyroid hormone. The way your T4 level changes when taking T4 only thyroid medication is actually quite intuitive. Assuming you are absorbing enough thyroid hormone, your T4 level should increase as your increase your T4 dose. Sometimes, though, this doesn't happen and even if it does it doesn't necessarily mean everything is "all good". As I mentioned above, your T4 level might NOT raise if your dose isn't high enough and/or if you aren't properly absorbing the medication you are taking. And, even if it does, there are studies showing (9) that patients who take T4 only thyroid medication show lower T3 levels than healthy populations - indicating that many patients just don't do well on these T4 only thyroid medications. 1) Consider switching to Tirosint. Tirosint contains 3 inactive ingredients and can help increase the absorption and effectiveness of thyroid hormone. The case can even be made that you should consider switching over to Tirosint if you are currently taking Synthroid or levothyroxine. The 50mcg tablet of levothyroxine contains the fewest inactive ingredients out of all of the other Levothyroxine dosages (For example the 100mcg tablet and so on). While these medications may appear to be the exact same, studies have shown that they are not bioequivalent (10). What this means is that your body may process them differently which may result in varying thyroid levels. This is an easy test because all you have to do is switch from taking one medication to the other and you may notice a difference. Bottom line: If you are taking T4 only thyroid medication (Synthroid, Levothyroxine, Levoxyl) then your free T4 level should increase. If it doesn't then you may have an absorption issue and you may benefit from switching to Tirosint. 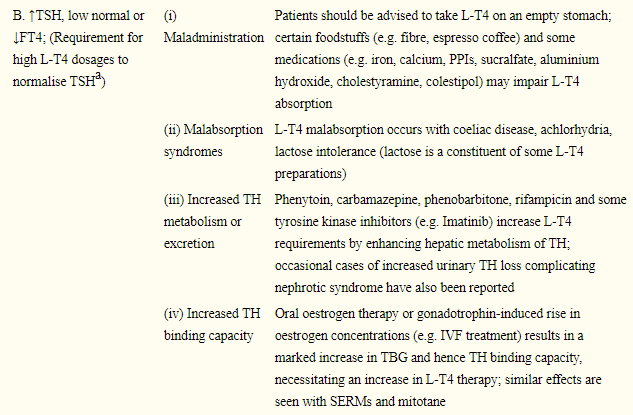 The way that T4 changes with NDT aren't as straightforward as it is with T4 only medications. Any thyroid medication that contains T3 thyroid hormone, at high enough doses, will generally cause your free T4 level to drop (11). The degree of how much it lowers largely depends on the dose of T3 you are taking. The higher the dose of T3 the lower your free T4 will go. The reason for this has to do with how T3 and T4 influence pituitary function. T3 thyroid hormone is 3-4 times more potent at lowering the TSH (12) than T4 is alone. As your TSH lowers your body produces less T4 thyroid hormone by itself (and becomes more reliant upon medications to supplement thyroid hormone levels). As long as you have a functioning thyroid gland (assuming it isn't taken out or destroyed by radioactive ablation) then your thyroid will be producing SOME T4 and T3 even if you are taking thyroid medication. ​This will usually result in a decrease in your Free T4 level. As you know NDT (natural desiccated thyroid) contains mostly T4 and some T3. This ratio is close to 80% T4 and 20% T3, which means that the medication is still mostly T4 thyroid hormone. But even that small amount of T3 is enough to shoot up T3 levels and drop T4 levels in the body. One mistake I see patients (and doctors make) is increasing NDT dose while trying to get to some mythical and optimal T4 level in the serum. In some ways this is futile, as you increase your NDT dose it will drive down your T4 level in the serum which leads to higher and higher levels of NDT. This can actually backfire and result in high levels of reverse T3 and very high levels of free T3. Bottom line: With lower doses of NDT your free T4 level may actually drop somewhat. Higher doses of NDT (greater than 4 grains) will usually cause the free T4 to increase but this isn't necessarily helpful. Taking T3 only thyroid medication like Cytomel or liothyronine will cause your free T4 to drop below the "normal" range completely and even flag as low. This has to do with the fact that you are suppressing the TSH with the T3 and so endogenous production of T4 decreased dramatically. Taking T3 only thyroid medication also causes reverse T3 levels to drop to low levels as well (this is usually a good thing). What you really need to get out of all of this is the fact that your free T4 levels do not necessarily need to be in some magical "optimal" range for you to feel good. Basing your treatment off of these ranges may lead to suboptimal treatment as you chase all the wrong results. 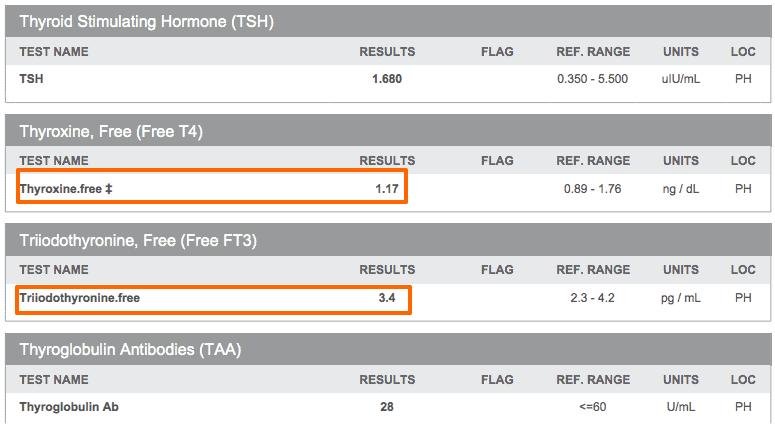 Instead of laser focusing on your free T4, make sure that you look at your T4 in context with other thyroid lab tests. Bottom line: Taking T3 only thyroid medication will dramatically reduce your free T4 level and this isn't necessarily a bad thing. ​Low free T3 and free T4 levels may indicate low thyroid function, but they may also indicate a condition known as euthyroid sick syndrome or low T3 syndrome. This condition is very similar to hypothyroidism, but some patients with it may not experience symptoms, whereas all patients with hypothyroidism will experience symptoms. If you suffer from low T3 and/or low T4 then you are also very likely to experience all of the symptoms of hypothyroidism, but with some other slight changes. Many of these symptoms result from low T3 levels directly or from the reduced conversion of T4 to T3. Patients who are taking thyroid medication (who still have low T4 levels) may experience many of these symptoms (13) which should spark further investigation by your physician. Because testing for thyroid hormone levels isn't always intuitive, it's very important that each time you check your thyroid levels you obtain a complete panel. While not all lab tests may be necessary EACH and every time you get blood work, it's still a good idea to get all of these tests to create baseline values that you can compare further testing to. 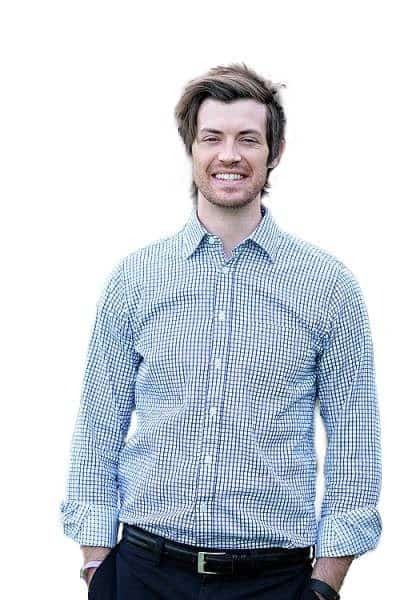 At first glance, you may be thinking that this patient is completely normal. Her TSH is in the 1-2 range, her Free T3 is in the mid-range, it's only her Free T4 that is in the low range. But she is actually quite hypothyroid and I know this because I treated her! ​Once you see and understand her Reverse T3 level you begin to understand her thyroid physiology. The only reason her Free T3 levels even look moderately normal is that her Reverse T3 levels are inappropriately blocking any Free T3 that she has. Remember that Reverse T3 and Free T3 both compete for cellular binding (14). If you take into account her high Reverse T3 level, her Free T3 level suddenly starts to make more sense. In her case, her Free T4 level never got into the 'optimal high' range, but you can definitely tell that it is also inappropriately high for her, given that she can barely convert T4 to T3. You need a Complete Thyroid Panel if you want to have ANY idea of what is going on with your thyroid. Just ordering the tests isn't going to be enough. Your Free T4 levels can give you amazing insight into how well your Thyroid is functioning, but you need to remember that they are only a small piece of an even larger puzzle. It is possible that your Free T4 levels may be inappropriately elevated ​and that isn't always a good thing. If your Free T4 levels are high and you still feel terrible, then you need to make sure you are also checking your Free T3 levels and your Reverse T3 levels. ​Using these lab values together, in combination with your symptoms, will help you to understand how well your thyroid is functioning. So what should your T4 levels be? If you aren't taking thyroid hormone, then optimal levels are generally in the upper 50% of the reference range. If you are already taking thyroid hormone then the upper 50% of the reference range doesn't always hold, instead, you need to be focusing on other factors. Are your free T4 levels high but you still feel terrible? Is your doctor willing to order the RIGHT tests? What has helped you feel better in this situation?